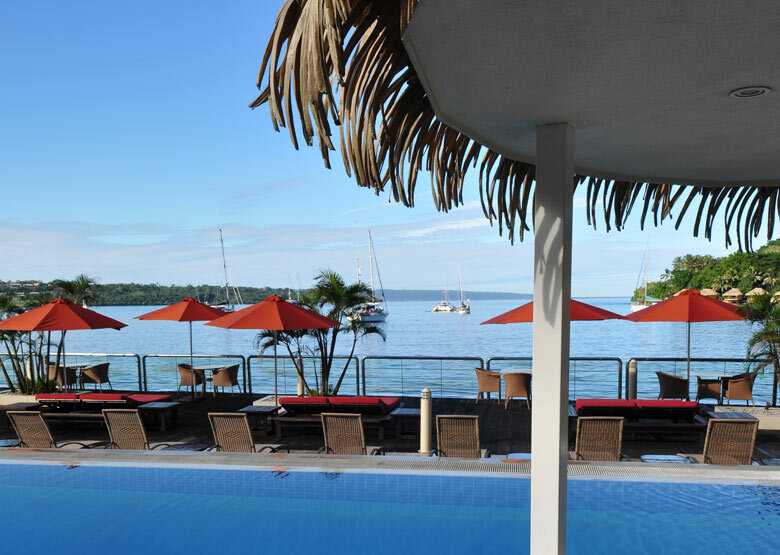 This chic resort-style Vanuatu hotel offers a superb waterfront location and is right on the doorstep of colourful downtown Port Vila. 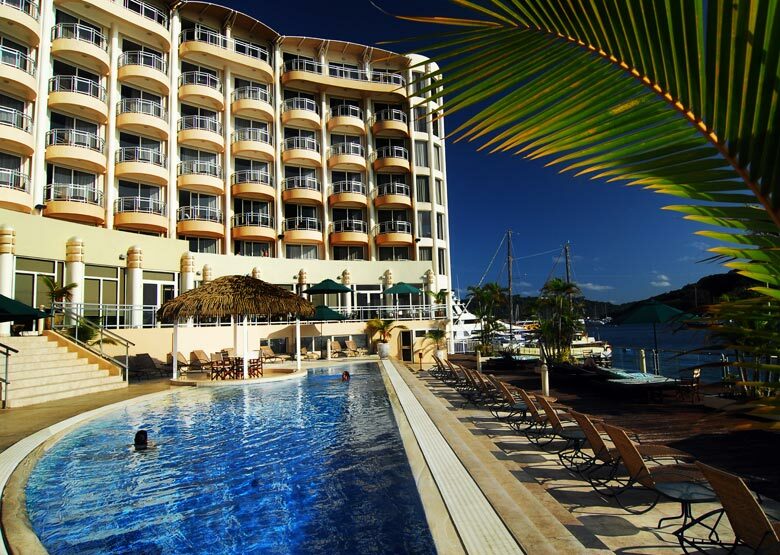 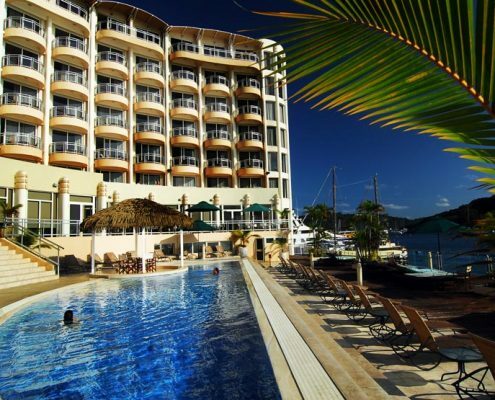 The Grand Hotel & Casino is Vanuatu’s first high rise international hotel and is perfect for holiday-makers wishing to explore Vila and its surrounds. 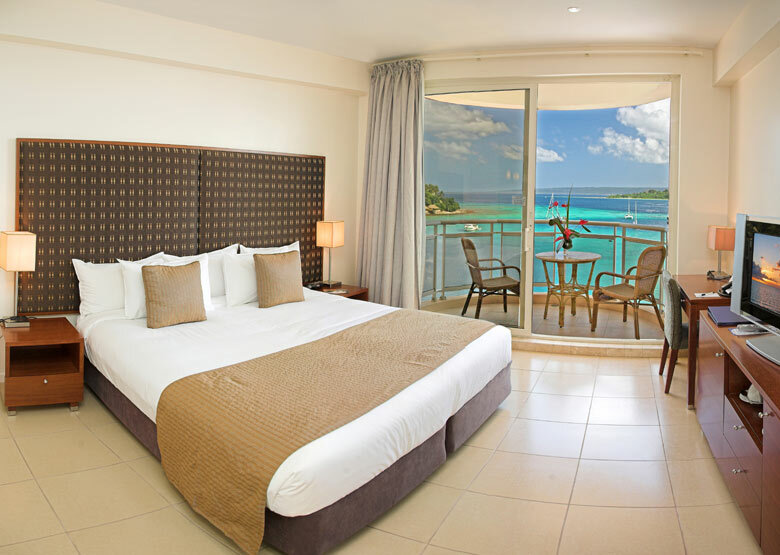 The Grand Hotel & Casino boasts 74 well appointed guestrooms spread over 6 levels, featuring contemporary styled European furnishings and a private balcony with spectacular harbour views. 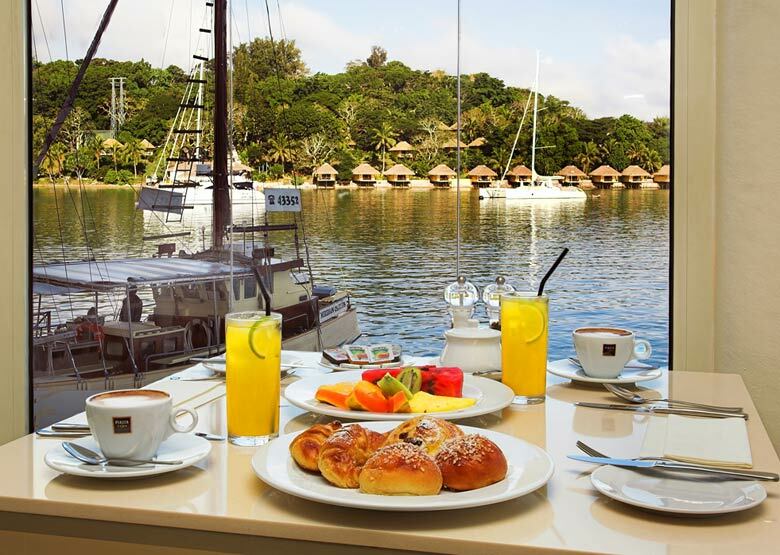 Dine alfresco or inside and enjoy a French provincial and international menu at Crystals Restaurant. 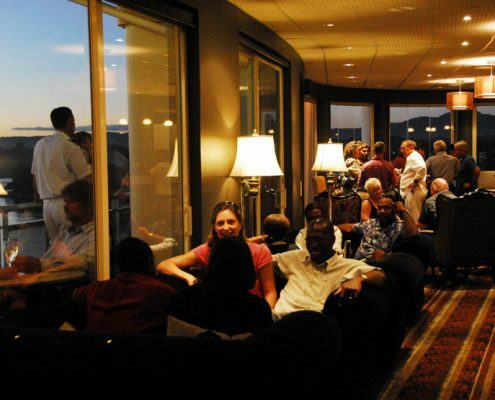 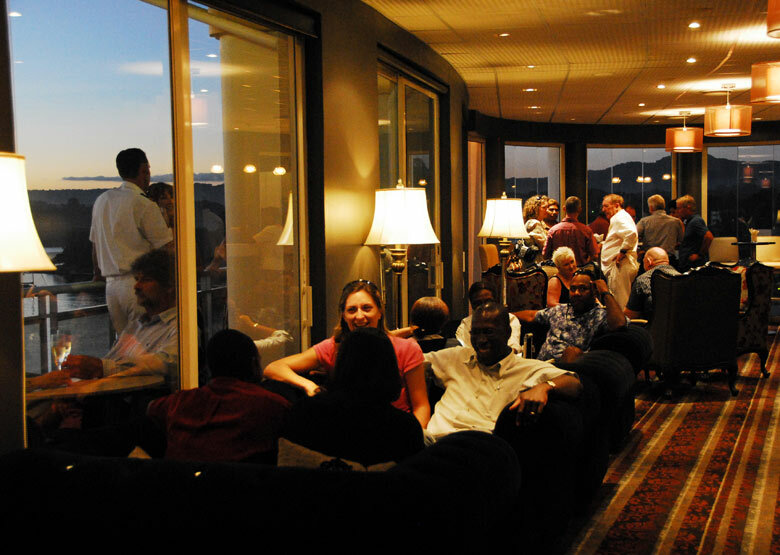 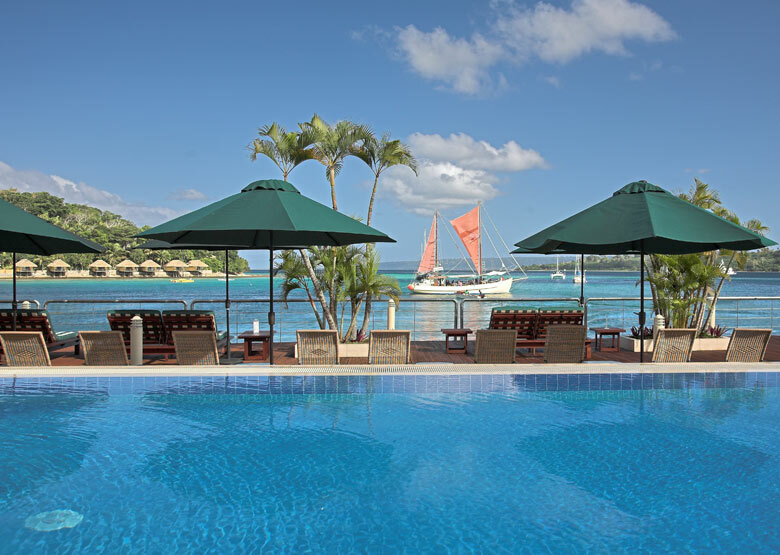 Watch magnificent sunsets and sip a delicious cocktail from the Hemisphere Lounge or join the locals for ‘High Tea’. 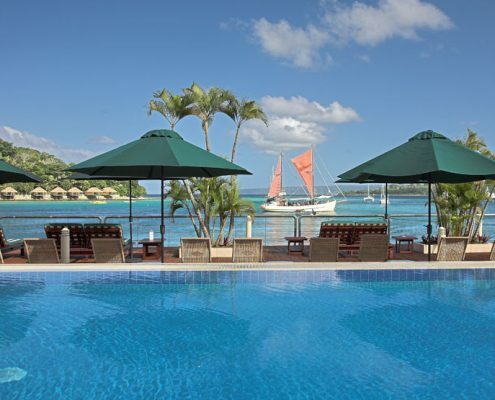 ‘Friday Happy Hour’ specialises in cocktails & canapés whilst the poolside café delights with tropical snacks & refreshing smoothies by day and exotic cocktails or French champagne by night! 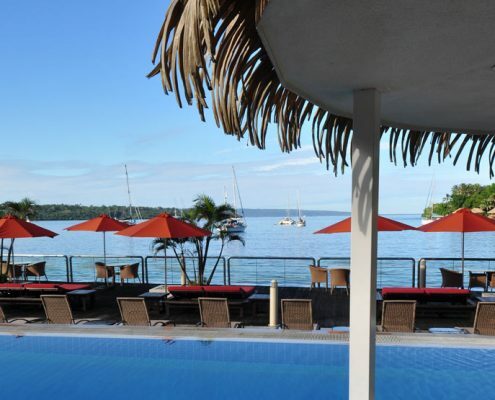 A truly indulgent and unspoilt tropical experience awaits you at The Grand Hotel & Casino Vanuatu. 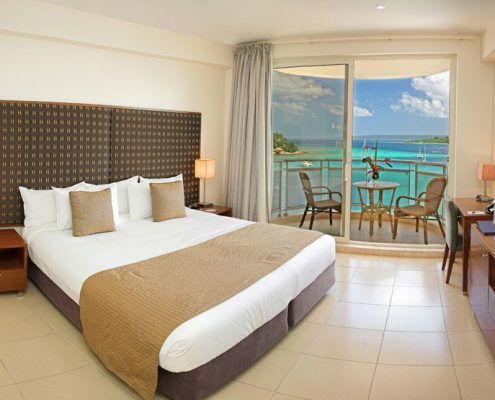 74 in total – Harbour View Rooms, Harbour Deluxe Rooms, Panorama Suites, Harbour Suite, Ambae Penthouse Suite. 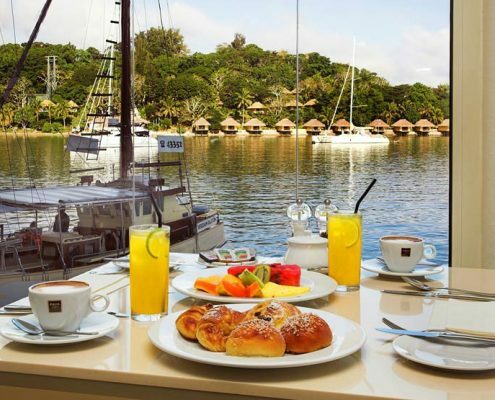 All rooms feature: air-conditioning tea/coffee making facilities, private balcony, flat screen TV, IDD phone, broadband internet, marble bathroom with separate shower and bath.